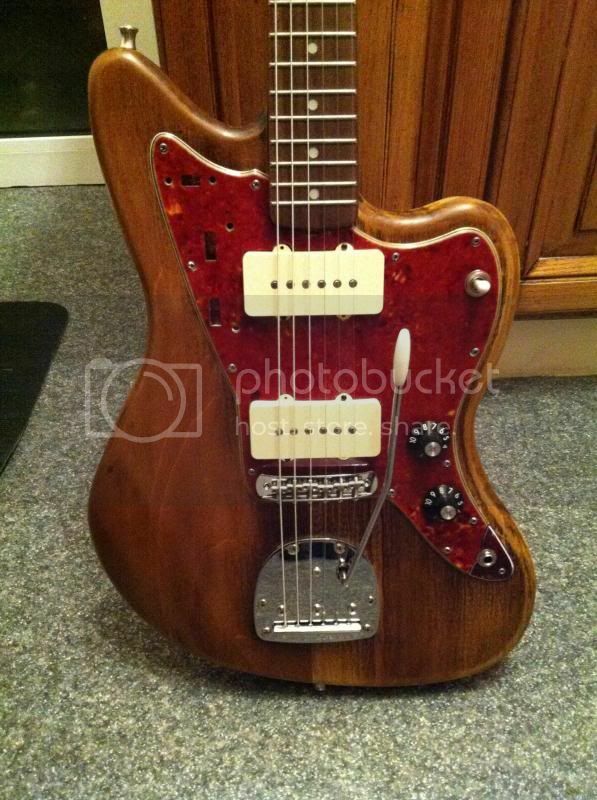 A few months ago I bought a Jazzmaster body on here. I wasn't intending to take on a project, but over the last few months I've been collecting parts for it, and I got it together and wired up last night. I was going to paint it, but from the front it looks great as it is - the stain on the back is not so uniform. Neck from a strat copy along with tuners and neck plate - the back of the neck has a lovely flame grain on it. I haven't decided exactly what I'm going to do for the logo, probably my own. A staytrem or mastery, and I may swap out the trem for one with a lock. Here are some quick camera phone pics, if there is interest I can take some better ones. Looks top. Bit of Costello going on too. The finish does indeed have a 'Costello Sig Model' look about it. Very nice indeed! I like it a bit better than the Costello (visually). The lighter wood and brighter pickguard give it a more compelling look. All in all, wonderful job. I might want to buy it if ever for sale (except for the fact that it would be sold in GBP). 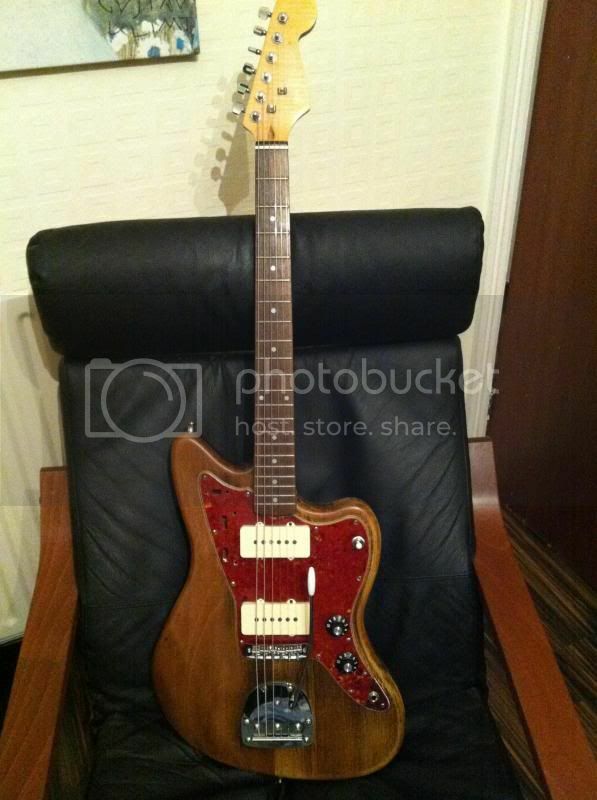 Nice, reminds me of Mary Timony's Jazzmaster. That looks really nice. I've really taken a liking to the Jazzmaster since buying Doogs' old one.